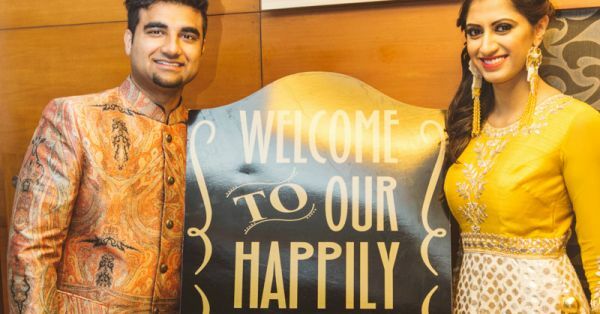 7 Cute Signboard Ideas To Make Your Wedding Decor SO Adorable! 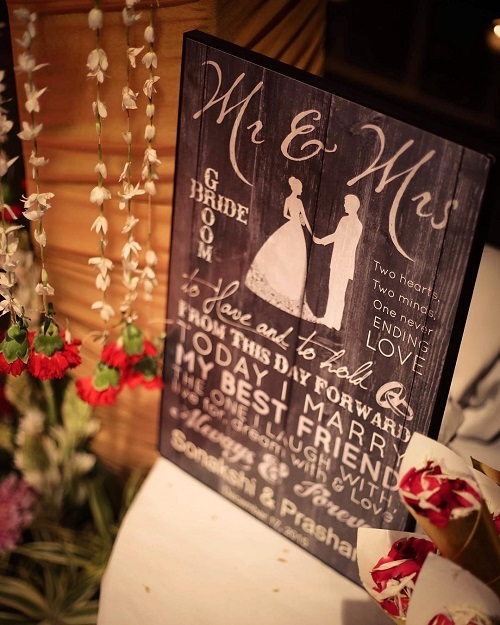 As far as wedding decor goes, signboards at your wedding is the new definition of cool. And we’ve got to agree that they do look super fab. 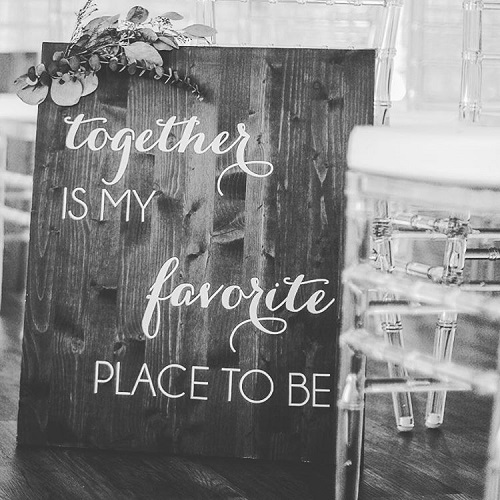 This chic new decor element is also a cute way to add a touch of *you* to your wedding. You could use them to share your love story or it could simply be a display of your favourite romantic quotes. Leave them looking raw and rustic, or do them up using pretty flowers. And if you’re still clueless… Here’s some inspiration! Aww, such a cute one this is. 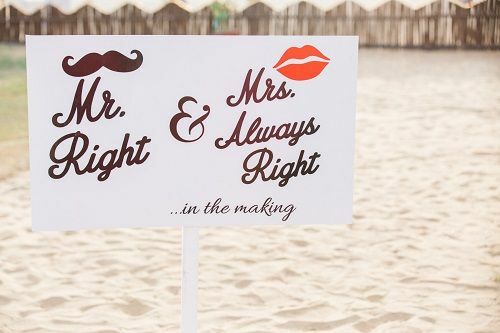 A signboard in the sand that reads Mr Right & Mrs Always Right… In the making! 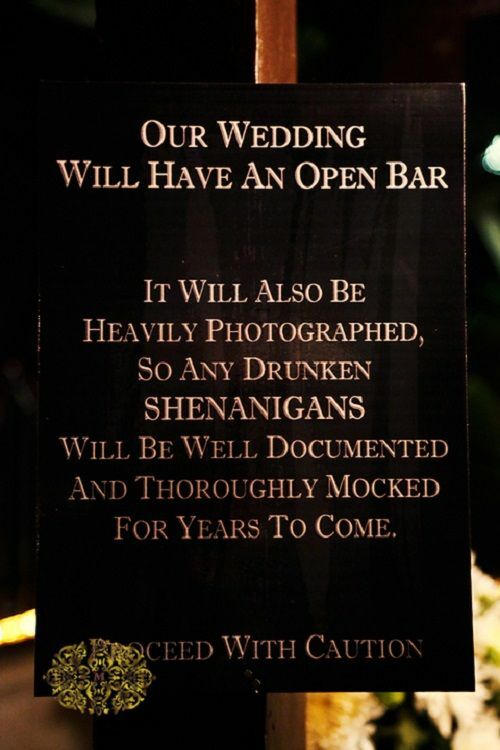 Now this is something you can totally replicate at your wedding. Image: Shared by the bride, Vidushi Also read: Wedding Decor Ideas That Look Way More Expensive Than They Are! 2. A warning to your friends? We’ve always dreamt of our very own ‘happily ever after’, and it’s finally happening! So why not make that childhood dream a part of your decor? 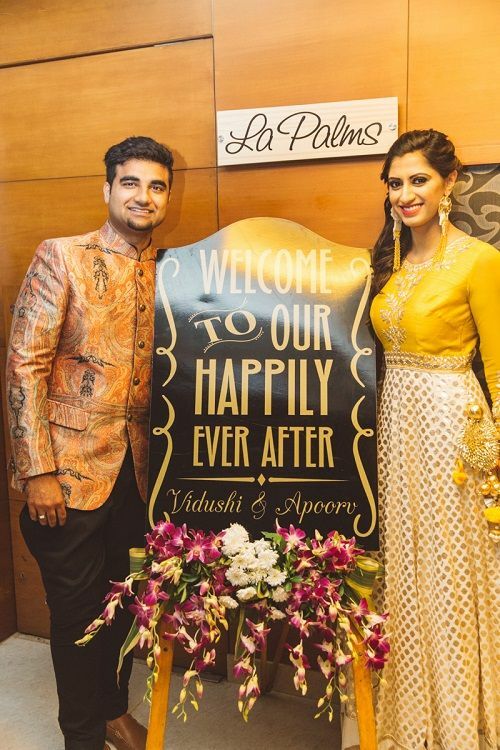 Image: Shared by the bride, Vidushi Also read: Super Cute Ways To Add A Personal Touch To Your Wedding Decor! 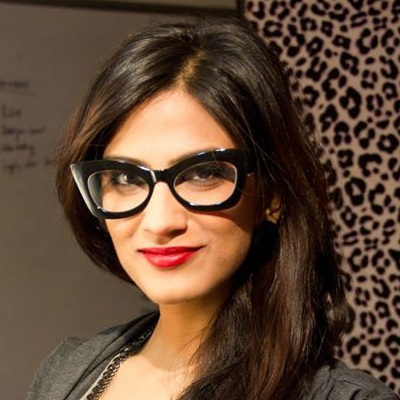 Want to do something totally hatke? 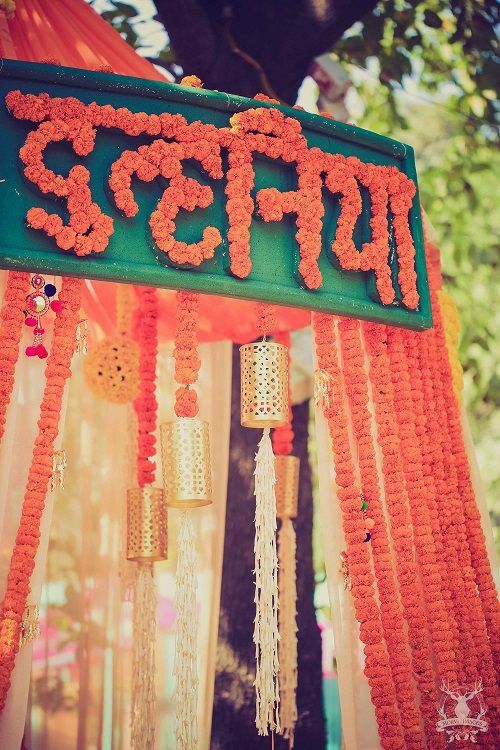 Have a signboard done up with genda phool and let it read plain and simple - Dulhania! 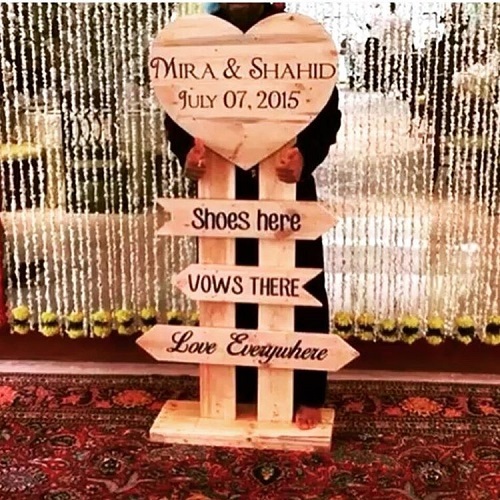 Remember this super cute board from #shahidkishaadi? It’s one of the most adorable ones we’ve ever seen! A similar standee around the mandap sure sounds like a great plan! Image: Events2moments on Instagram A place where girls can talk about ANYTHING. (No guys allowed!) ? ? Get the POPxo app NOW on Play Store and iOS App Store.